Ms. Reichhold has been practicing law in California since 1986. She received her B.A. from the University of California, Berkeley, in Political Economy and History in 1982. 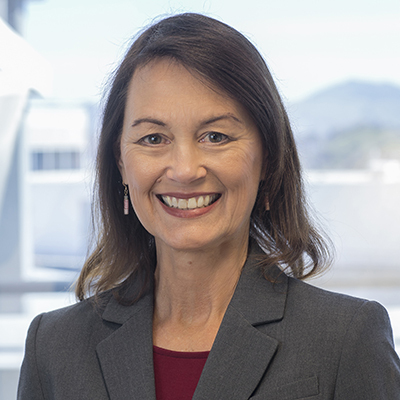 She studied law at the University of the Pacific, McGeorge School of Law from 1983 through in 1986, and received her law degree from that institution. Ms. Reichhold also attended classes at the University of California, Hastings College of the Law from 1985-1986. Ms. Reichhold joined the law firm of Hoge, Fenton, Jones & Appel, located in Monterey, California, where she practiced law from 1986 through 1991. Ms. Reichhold focused in the areas of insurance defense, medical malpractice, employer liability and commercial transactions. She relocated to the San Francisco Bay Area where she practiced law from 1992 to 1997 with what is now the Archer Norris law firm in Walnut Creek, California. In addition to her previous areas of practice, Ms. Reichhold worked on cases involving maritime law, construction defects, premises liability and toxic torts, including exposure to asbestos. From 1998 to 1999, Ms. Reichhold was associated with the law firm of Bergstrom & Feldman in Oakland, CA. Ms. Reichhold joined Armstrong & Associates, LLP, in 1999, and continued working with the firm until 2017, ultimately becoming a non-equity partner. Ms. Reichhold now practices as a non-equity partner the DeHay & Elliston LLP law firm in Walnut Creek, California. Ms. Reichhold served as a panelist for the California Continuing Education of the Bar program on “Development in Torts”. She is active in several community and philanthropic organizations and is an avid reader, hiker and traveler. She is married with four grown children, and enjoys quality time with her family and pets.